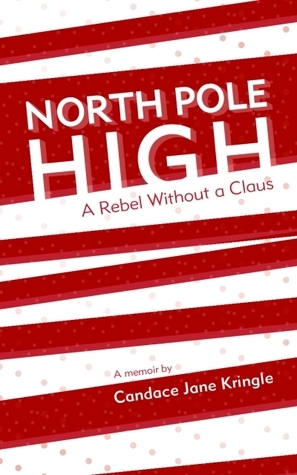 This book is the memoir of Santa's teenage daughter, Candycane. 16-year-old Candycane is the most popular girl in school, and has a boyfriend, Tinsel, who's totally hot chocolate (they totally talk like that in the book and it has rubbed off on me). Life is pretty much perfect. But then, the new kid arrives. Rudy Tutti hates Christmas. And yet, Candycane's feelings start to get pretty confused! Add to that an unbearably overprotective Santa, and you've got one heck of a story. First of all, I LOVE the writing. "Oh, for Christmas sake! ", "I think Rudy's hot chocolate! ", and other such phrases had me giggling on every page. Also, a penguin who immigrated from the South Pole, reindeer that poop chocolate, and a whole lot of really disgusting foods like fruitcake pizza. The funny thing is, it still reads like a normal YA novel underneath all the Christmas. Candycane is still a normal teenager. The story is also great. Candycane tries to figure out why Rudy hates Christmas, Christmas is almost ruined due to a lack of Christmas spirit, and the romance is both adorable and just a bit steamy. This is a Christmastime must-read! The book loses one star from me because of a single scene, in which Candycane talks about the origin of Christmas trees, and includes a story about Pagans sacrificing children. Seriously, people, can we stop with that? Discrimination against Pagans is a real thing and stories about sacrificing children really are not helping. Full disclosure: Free copy received from the author. With this book, I finish off the 2012 A-Z Book Challenge. This book also counts for the Christmas Spirit Reading Challenge.